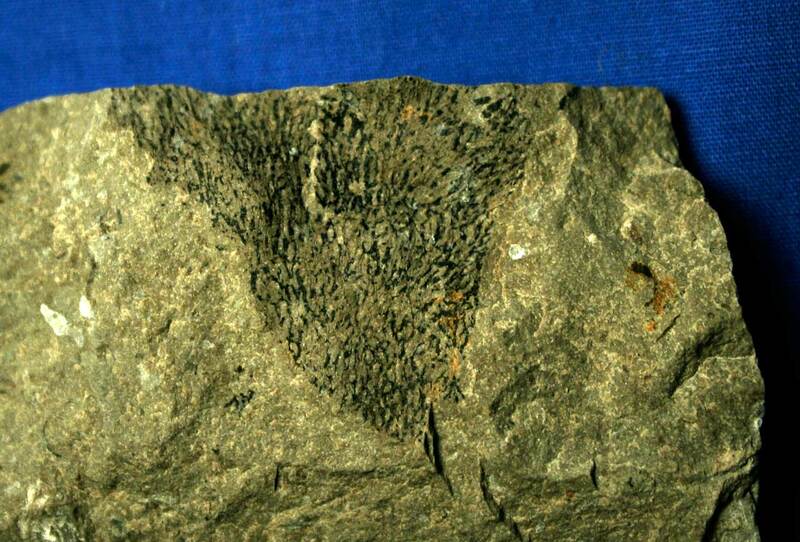 This fossil was found in the Waldron Shale of Clark County, Indiana USA. 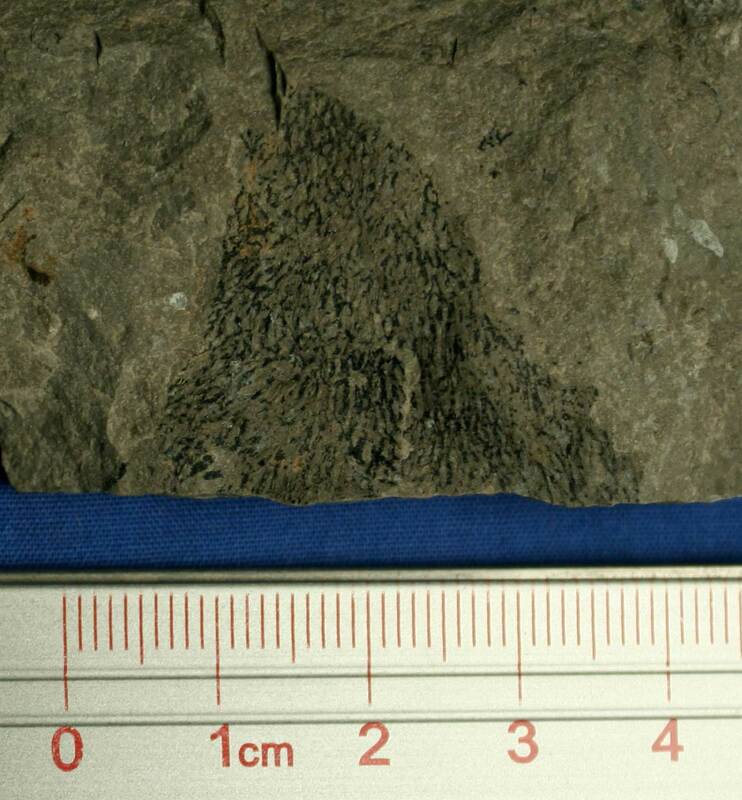 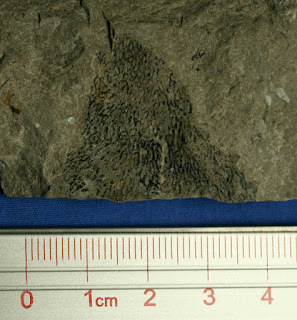 It appears to be a Desmograptus micronematodes graptolite. 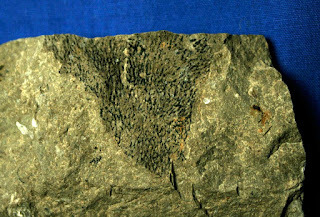 The fossil dates to the Silurian Period (Wenlockian).